I recently rediscovered this promotional video profiling the Dominican Sisters of St. Cecilia and shared it with two of my daughters. The beauty of these women, and their authentic Christian joy, compels me to share this video with all of you. The Dominican Sisters of St. Cecilia stand in stark contrast to much of the popular and ecclesial culture of the past fifty years. While many orders of women religious have grown older and smaller, the Nashville Dominicans (as they are also called) have seen a boom in vocations and overall interest in recent years. As reported in Regina Magazine, the community has grown 46% in just the past 14 years, and with 300 sisters currently, are the largest they have ever been. As parents we have the God given responsibility to help our children discern their vocations. The happiness that we seek for our sons and daughters will only come from their ability to conform their lives to God’s will. 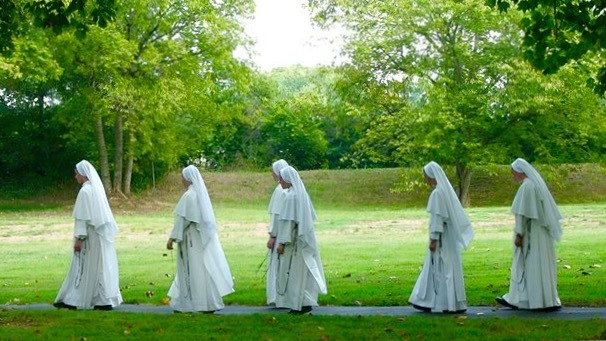 For young women called to the religious life, true happiness can only be found with an obedient response to Our Lord. If you have heard the Lord’s gentle invitation to religious life, it may have taken you by surprise. Fear is not an uncommon response to the first stirrings of a religious vocation…However, if one is called to the religious life then, with time and prayer, fear turns to conviction and we can begin the first steps to finding and accepting his will. This conviction brings a peace and joy that nothing else can match. A young woman open to the call to give her whole life to Christ will find that she can only surrender to this irresistible prompting that He has placed within her heart. Posted on June 1, 2015, in holiness, life and tagged female religious, nashville dominicans, st cecilia dominicans, women religious. Bookmark the permalink. Leave a comment.